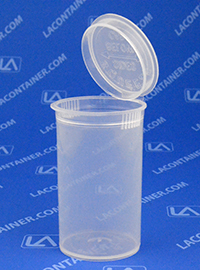 The Squeezetops® PST19 Child Resistant Pharmacy Vial is designed with a unique squeeze-to-open lid that provides protection for storing pharmaceutical drugs, natural supplements and vitamins. Manufactured in the USA with FDA compliant medical grade materials, Squeezetops® are safe to use in many industrial and medical environments. 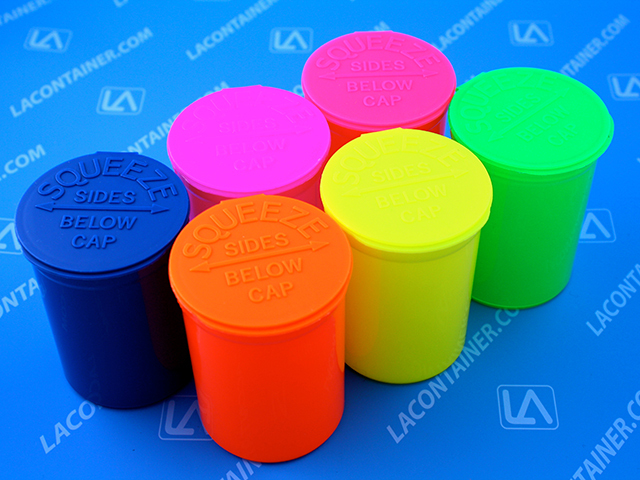 The Squeezetops® PST19 container was evaluated using the consumer product safety commission protocol and standards. The study indicates the PST19 container fulfills the requirements for a poison prevention package as per the current code of federal regulations (C.F.R.) Title 16, Part 1700. 1.39" Dia. X 2.54" Ht. 41.91mm Dia. X 69.85mm Ht. 35.31mm Dia. X 64.52mm Ht.